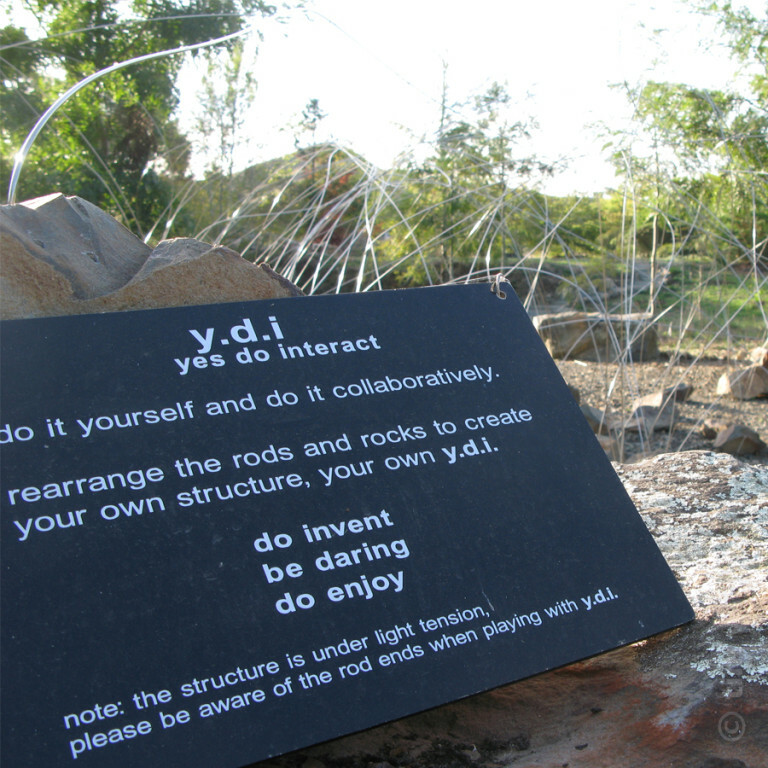 Do It Yourself (DIY) was high on the shortlist of names for this work ... but, I wanted to get across the idea that you interact with the piece with others – rather than just by yourself. So, I ended up with a Nike/Home handyman DIY hybrid of YDI – short for YES, DO IT. YDI is designed as a large game. 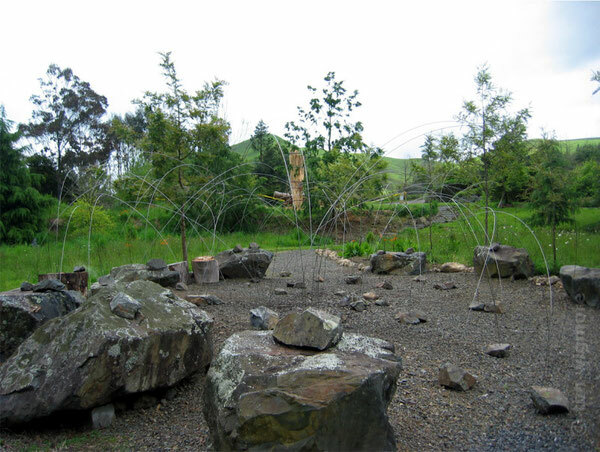 Seventy stainless steel rods slot into holes in 40 rocks – each rock having between 1 and 10 holes. 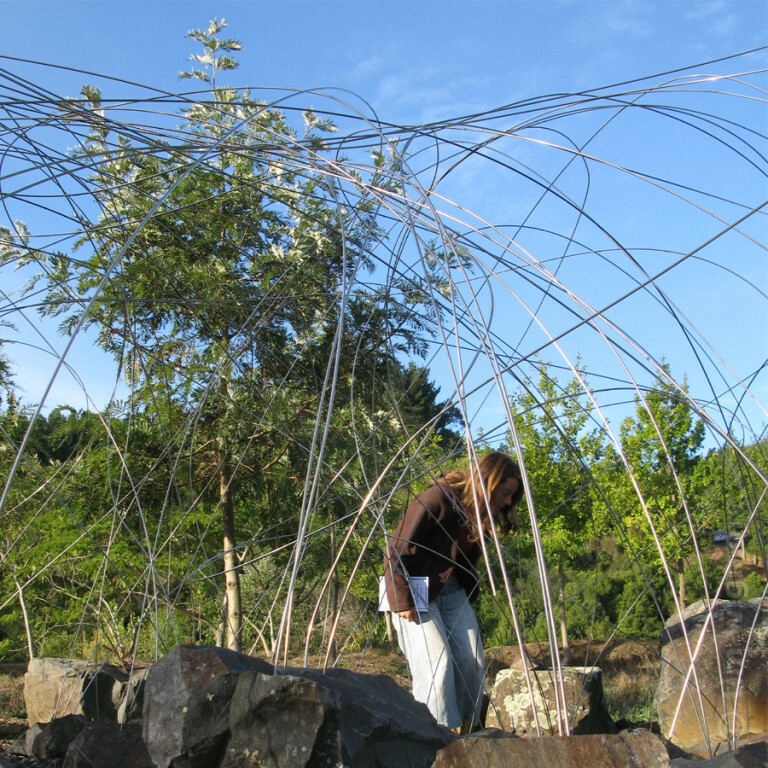 One of my main ideas was that the user/s be able to create their own structure, their own space. 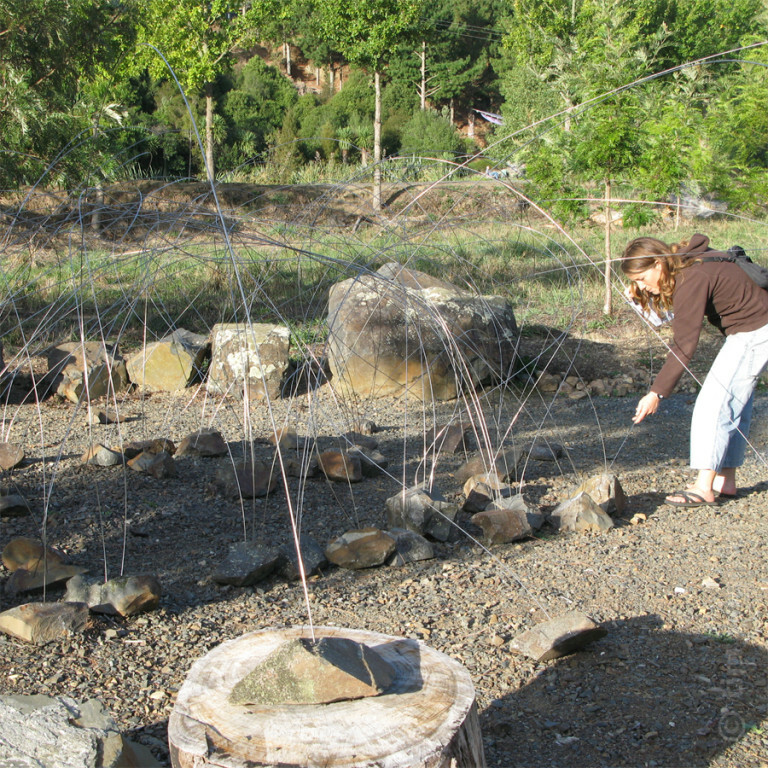 Another major aspect of this work is the kinetic motion of the rods. The hoops sway softly in the breeze or wobble erratically when someone interacts with them. 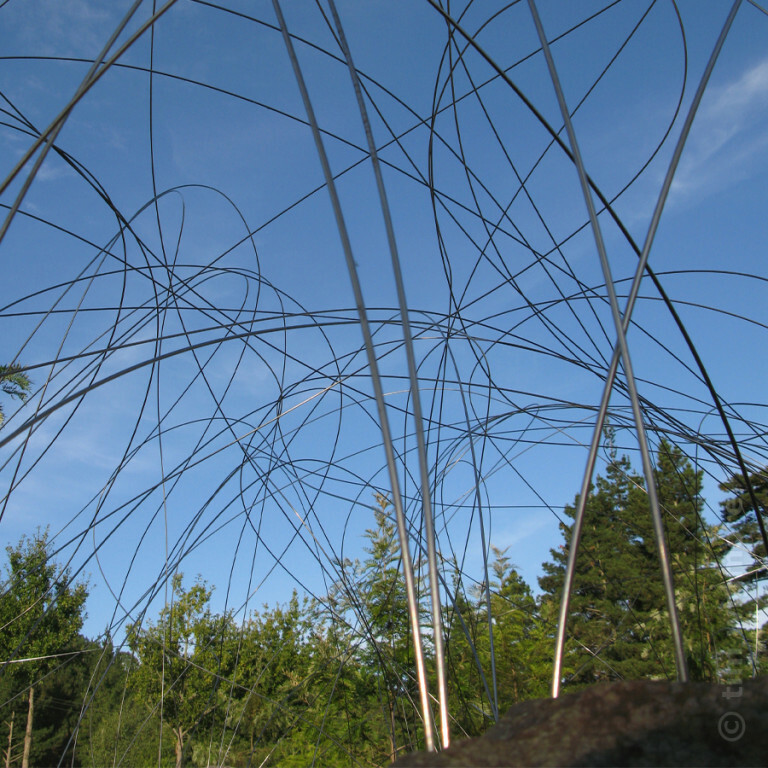 In some ways, this piece can be seen as a large instrument: it can be played and tuned by users or activated by the wind.